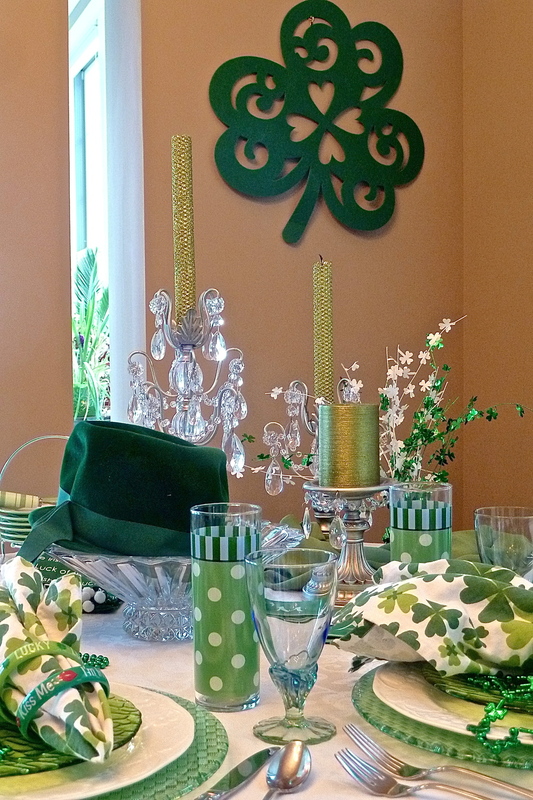 Green beads and my Grandmother’s velvet hat cozy up to green glass chargers, spotted glassware and of course a felt shamrock. Use whatever you have that is green and you might just surprise yourself. We did! Keep Kids Winter Spirits UP!